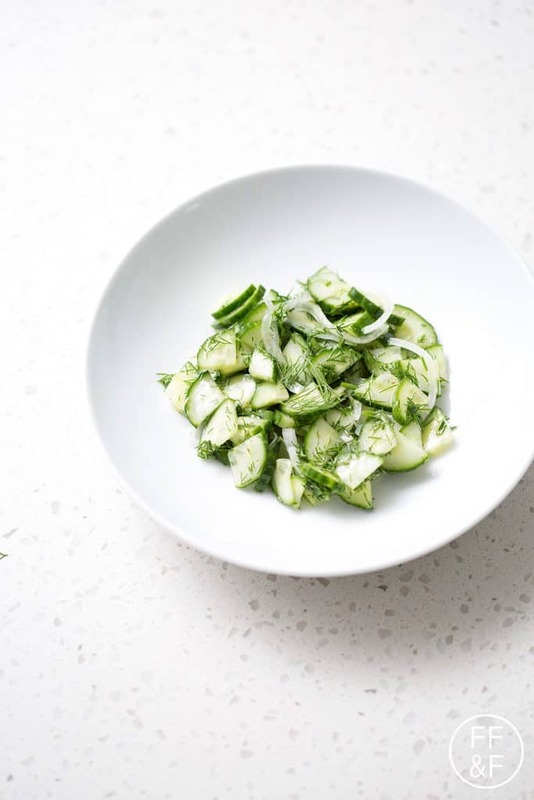 This Cucumber Dill Salad recipe is the perfect summer side dish. 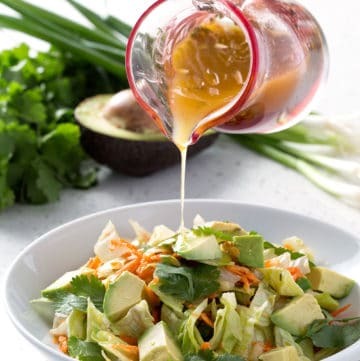 There’s absolutely no cooking, it can be made in advance and it uses fresh summer ingredients. Oh, and it delicious! 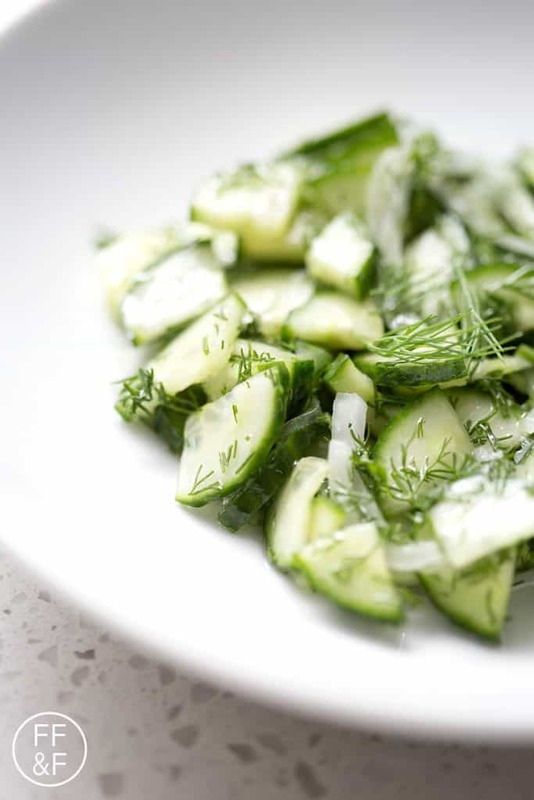 It’s crisp and fresh from the cucumber, dill and vinegar, which is exactly what you want when you’re chowing down on something right of the hot grill. 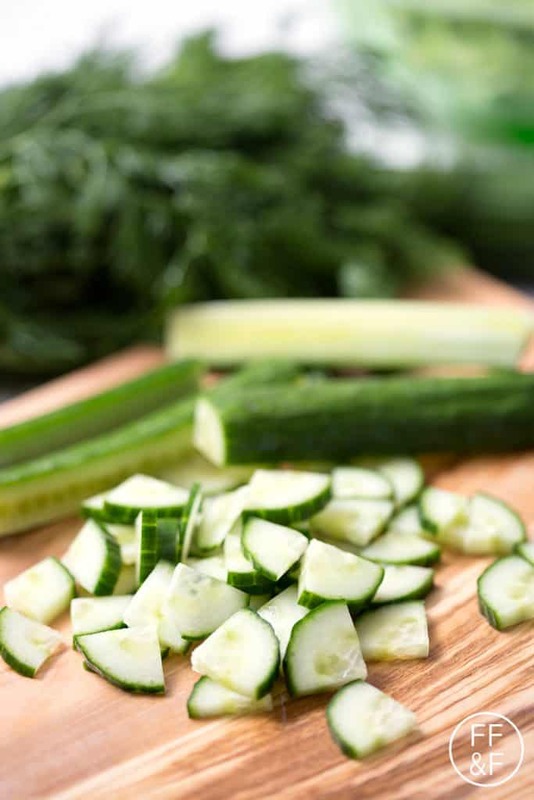 I used English cucumbers but you can use regular or Persian cucumbers as well. 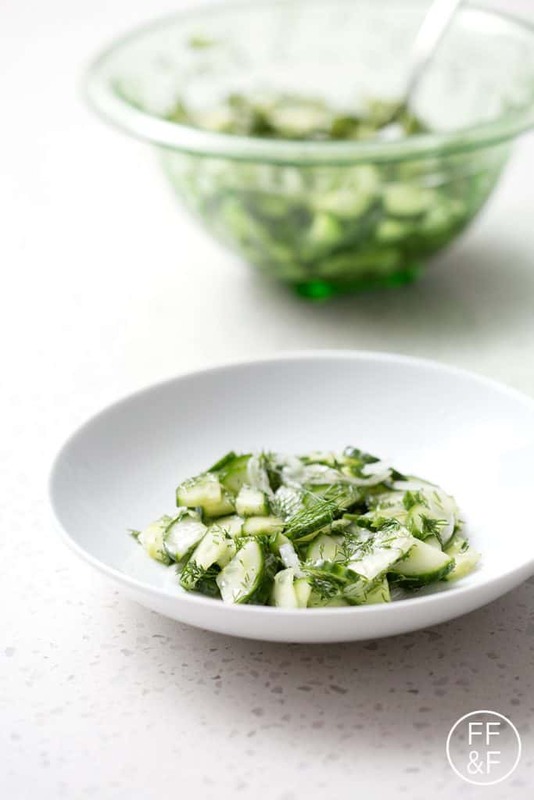 Persian cucumbers would be best as they are less watery than regular cucumbers. 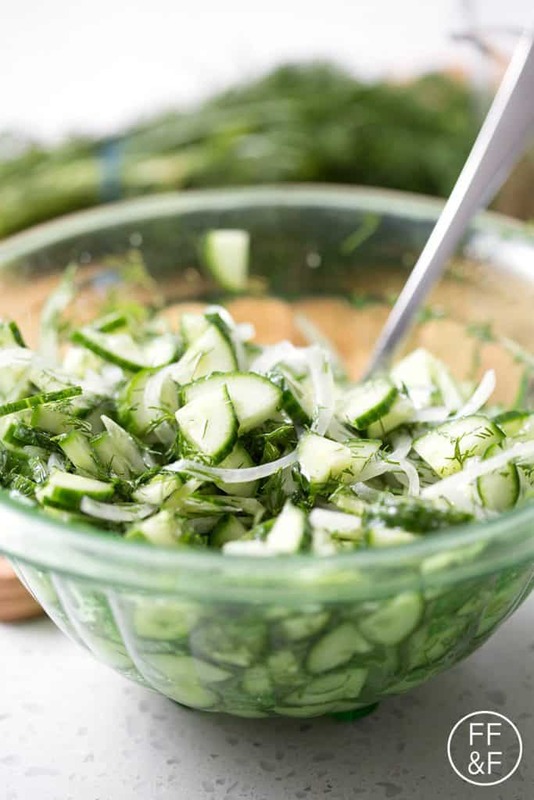 You’d need about 8 Persian cucumbers and 2-3 regular cucumbers if you were going to substitute. Here’s a little shortcut, use kitchen shears to chop fresh herbs. 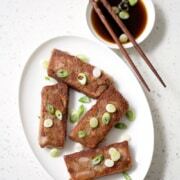 I started using them to chop up my son’s food into bite size pieces so that he could eat without choking. 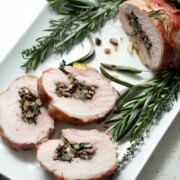 It was so easy that I started looking around the kitchen to see what else I could cut up and settled on herbs. It’s so nice to be able to just grab a bunch of dill and start cutting. I use Kitchen-Buddy kitchen shears from Amazon. They are very sharp which is perfect. The only downside is that they don’t come apart to wash and don’t go in the dishwasher. I usually only use these shears for cutting herbs so that’s not much of an issue. However, they are heavy duty and could handle much bigger jobs. 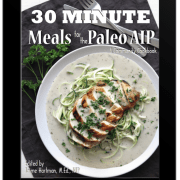 If you’re interested into making this a meal, click here to check out 30 Minute Meals for Paleo and AIP. 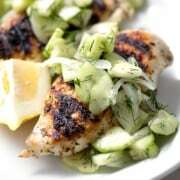 I’ve paired this Cucumber Dill Salad with Grilled Chicken and laid out the recipe so that you can have the entire meal on the table in 30 minutes. 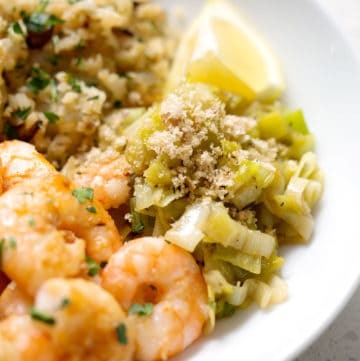 This meal is absolutely delicious but the book includes 119 other recipes for you as well. It’s a really great resource for families. Every single one of these amazing recipes is AIP and will easily fit into your daily life. 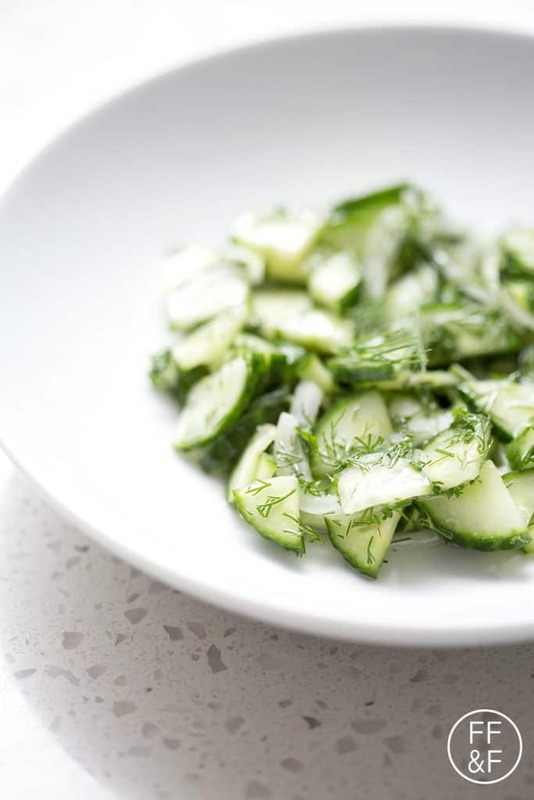 Here’s a refreshing and vinegary summer recipe, Cucumber Dill Salad. 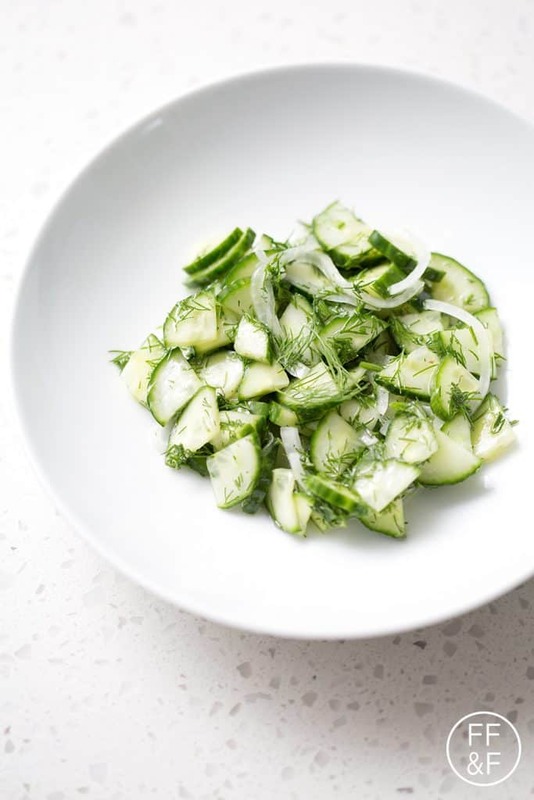 It’s made with fresh dill, cucumbers and a vinegary dressing that requires absolutely no cooking. 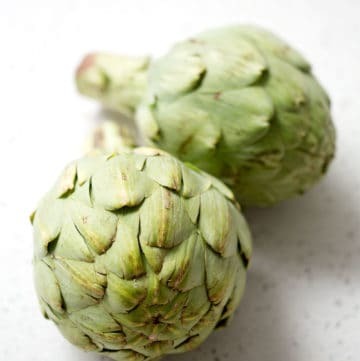 It’s the perfect summer side dish. 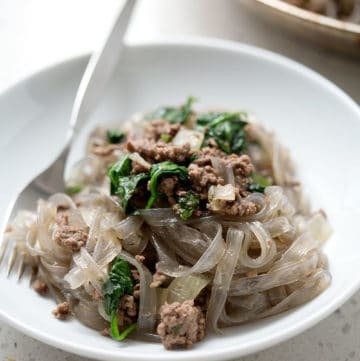 This recipe is allergy friendly (gluten, dairy, seafood, nut, egg, and soy free) and suits the autoimmune protocol and paleo diet. 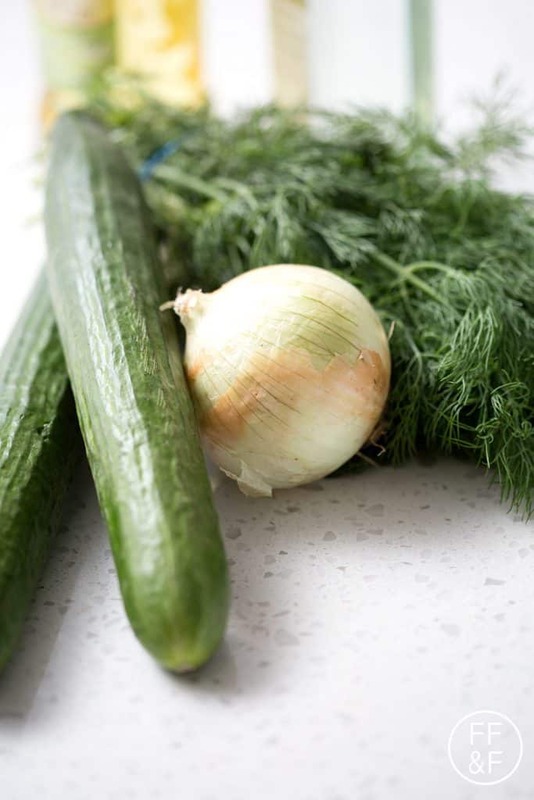 Combine thinly sliced cucumbers, sliced onions, and chopped dill in a bowl. Toss gently. 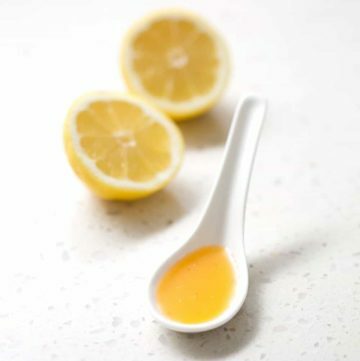 In a small bowl, combine oil, vinegar, sugar and salt. Whisk thoroughly. 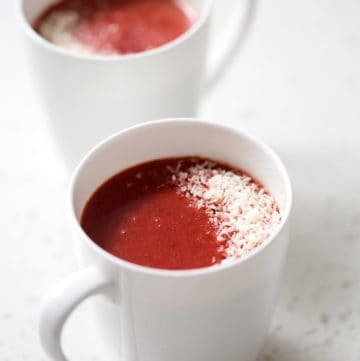 Chill for an hour to blend flavors before serving.